This is a Statue Park and Yajisan Kazusan hybrid puzzle. Place the given shapes in the grid satisfying the Statue Park rules: no two shapes may be adjacent, and the unshaded area must be connected. 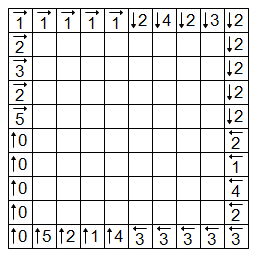 In addition, any unshaded number-arrow clue must point to exactly that many shaded grid squares. A shaded number-arrow clue may be ignored and can be either true or false. 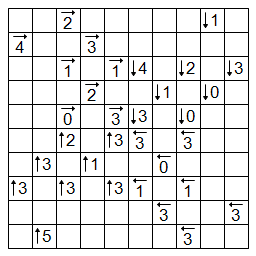 This is a Yajisan Kazusan puzzle. A recent PayPal donation requested two types. One of them was this one, and I’m sure he’ll be pleased to hear that the next puzzle pack was already going to be filled with the other. This is the second time I’ve done a border-only puzzle of this type. 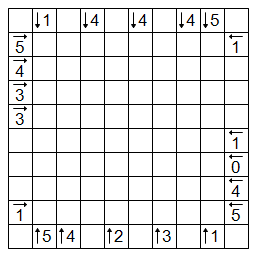 But this one is an even more sparse layout, and the solve is quite different. 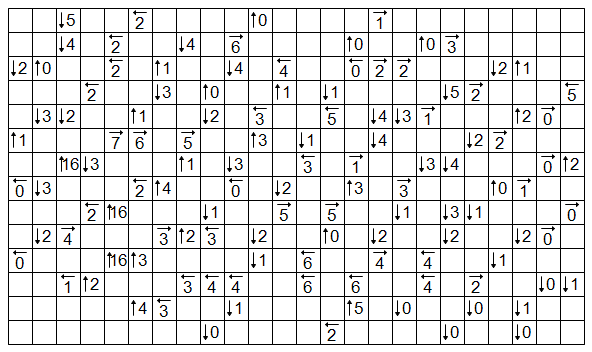 This is a Wednesday Yajisan Kazusan puzzle. 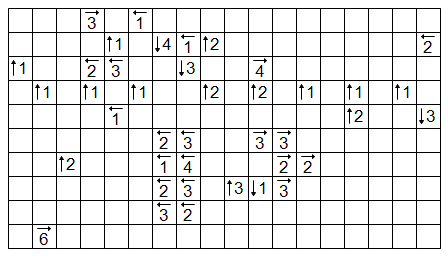 This is a Tuesday Yajisan Kazusan puzzle. 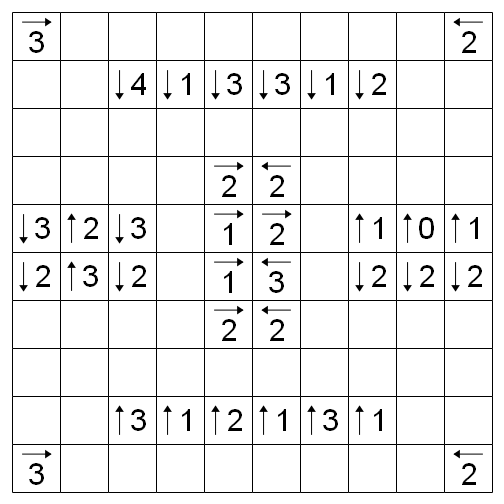 This is a Thursday Yajisan Kazusan puzzle. 2/4 12:44am ET: Fix made to right column to eliminate ambiguity near end of solution. 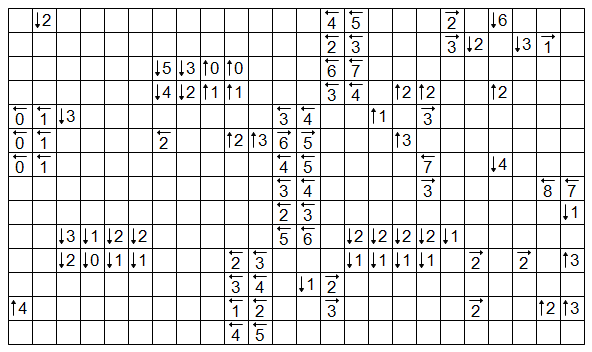 This is a Sunday Yajisan Kazusan puzzle. This is a Monday Yajisan Kazusan puzzle. 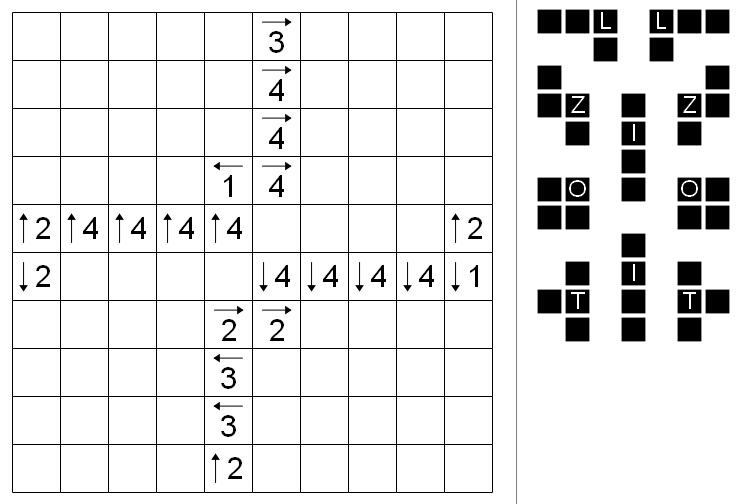 I was thinking that I should maybe try to come up with a less Japanese-sounding name for this puzzle for use on this blog, but I thought this name was kind of catchy (perhaps because I’m butchering the pronunciation). It takes a little time to figure out which consonants are where though. 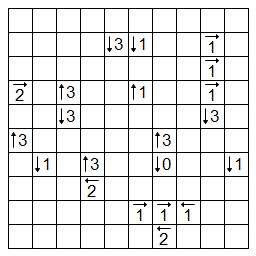 This is another nikoli type that I found on their website without having seen anyone else’s puzzles, so I’m forging my own ground here like I’ve been doing for Country Road and to a lesser extent Corral.